From the region, to the region, with ambitions stretching far beyond. Emirates NBD Asset Management is one of the largest and longest established asset managers in the Middle East. Launched in August 2006, our current assets under management (AuM) stand at USD 4.5 billion*. We offer a diverse range of funds and segregated mandate products, catering to all types of clients across the institutional and retail space. Emirates NBD Asset Management is regulated to the highest standards. The firm falls under the jurisdiction of the Dubai Financial Services Authority by virtue of its incorporation in the Dubai International Financial Center, whereas the funds are governed by the rules and regulations of the Jersey Financial Services Commission and the Luxembourg Commission de Surveillance du Secteur Financier on account of their domicile. Our team of portfolio managers is committed to providing a wide range of products, covering different geographies and the full spectrum of asset classes. Our bespoke offering is designed to suit each client's individual objectives and risk appetites. We provide these investment services through our in-house capabilities for regional markets and by developing best-of-breed partnerships for international opportunities. Our investment solutions can be provided on either a Shari'a compliant or conventional basis and in the shape of mutual funds or segregated mandates, on a discretionary or non-discretionary basis. Our fund managers will create a customized investment solution for you, keeping in mind your risk return appetite and requirements. An upfront discussion to understand the client's needs will help to drive the choice of asset classes leading to a set of mutually agreed guidelines. The fund manager will then exercise their discretion to meet the portfolio's return objectives while providing regular updates to the client. In this type of arrangement the client has a greater degree of participation in the ongoing management of their investments. 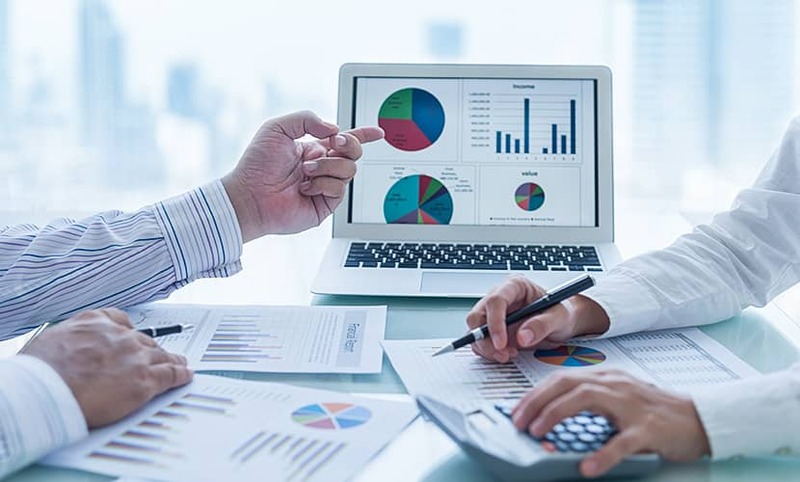 In such cases we will regularly contact the client to discuss investment matters before agreeing on next steps, with no transactions being conducted without the client's express approval. Responsibility for the portfolio and decision making thereby remains with the client. In Q1 2017 Emirates NBD Asset Management completed the successful restructuring and IPO of its Shari'a compliant real estate fund into a listed REIT. The shares of this vehicle are traded on Nasdaq Dubai, under the ticker ENBDREIT. Emirates NBD Asset Management caters to a broad and diverse investor base. Whilst over time we have become the regional portfolio manager of choice for institutional clients, the product suite has been updated to be relevant to the wholesale and retail market as well. We serve both institutional and individual clients ranging from pension funds, family offices and UHNWIs to medium-to-high income private investors. Our clients are based across the MENA region, Europe and Asia seeking professional and trusted financial services. All our MENA regional funds are managed in house, through an investment process that has demonstrated a long and successful track record. For clients seeking exposure to specialized international portfolios, we co-manage funds with blue-chip global partners including Jupiter Asset Management and UTI International. We work with investors to develop strategies that meet their goals and objectives. Clients take advantage of our strong research capabilities, conducted by an experienced team of professionals from multi-cultural and multi-lingual backgrounds. Suvo is a distinguished retail banking professional with over 30 years of multi-functional experience with five leading financial institutions and in multiple geographies across Middle East and Africa. 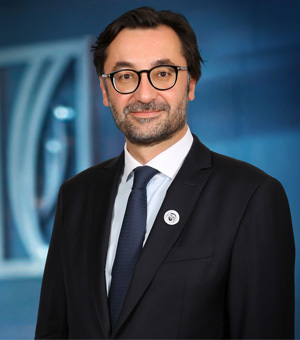 Currently, he is the Senior Executive Vice President and Group Head of the Retail Banking, Private Banking and Wealth Management businesses of Emirates NBD, the largest bank by customer base and brand value in the United Arab Emirates (UAE). He is also the executive chairman of two of the Bank's key subsidiaries: ENBD Asset Management, the largest asset management company in the UAE and ENBD Securities, one of the leading brokerage houses in the country. 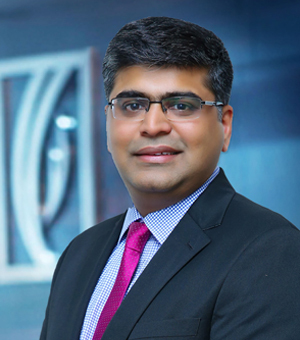 Earlier in his career, Suvo has worked with three multi-national banks - Standard Chartered, ANZ Grindlays and Citibank NA, and two regional banks - National Bank of Dubai and National Bank of Abu Dhabi. In 2015, Suvo was recognized with the Asian Banker Retail Banker of the Year for the Middle East award. Suvo is well regarded as a thought leader in the banking industry. He is published across several regional and international publications and is often invited to provide expert commentary on broadcast television and business radio in the UAE. With an established reputation as an innovator, Suvo publishes a monthly 'Voice of Innovation' column on trends and changing paradigms in banking. He also serves on the advisory boards of two leading educational institutions, Abu Dhabi University and GEMS Modern Academy. 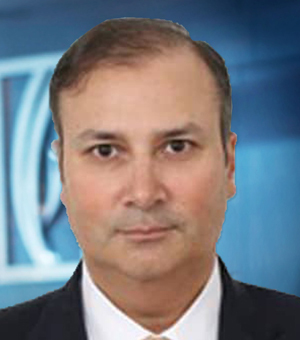 Mr. Khwaja has served as Group Treasurer of Emirates NBD since September 2012. With more than 20 years of experience in Treasury and Global Markets, working across multiple geographies, he has developed a successful track record in leading high-performing teams to achieve and exceed ambitious organizational objectives. Prior to joining Emirates NBD, he was Regional Treasurer for Emerging Markets/Africa with Barclays Bank Plc, during which time he also served as Chairman of Barclays' regional Asset and Liability Management Committee (ALCO). His previous roles included Managing Director and Head of Fixed Income Currency and Commodities in Citigroup's Central and Eastern European division, Group Treasurer for Saudi Hollandi (ABN AMRO) Bank in Saudi Arabia, Managing Director of Treasury for ABN AMRO/K&H Bank in Hungary, General Manager of Treasury for ABN AMRO in Romania, as well as Country Treasurer for Citibank NA in Pakistan. Mr. Khwaja holds an MBA (gold medalist) from Institute of Business Administration in Karachi, Pakistan. Mr. Al Shehi is the Deputy Director General at the Government of Dubai's Department of Finance, a position which he has held since February 2006. In this role, Mr. Al Shehi provides oversight for the planning, organization, direct accounting and treasury of the Department of Finance. He also works closely with other management to establish the funding strategy and maintain availability of resources, as well as working with the Front Directors to define and achieve departmental goals and objectives. Mr. Al Shehi began his professional career in 1990, as a Financial Analyst at the Banking Supervision Department at the Central Bank of U.A.E. in Abu Dhabi. In 1993, he joined DEWA and to the position of Senior Manager of Finance. Aside from his position as Deputy Director General, Mr. Al Shehi is Secretary to the Supreme Fiscal Committee (SFC). In June 2011, he was nominated to serve on the Board of Directors of Dubai Real Estate Corporation (Government of Dubai) and Emirates NBD Bank. Mr. Al Shehi holds an Executive Master of Business Administration from Zayed University, UAE. He is a member of the American Academy of Financial Management, Master Financial Professional, the UAE Accountants & Auditors Association, and the Economic Development Committee - Sectoral Committee at the Executive Board of the Executive Council. 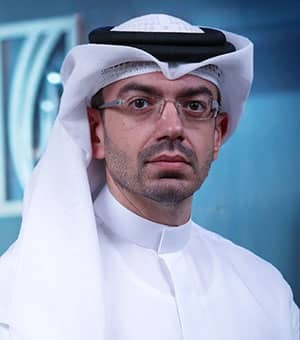 Mr. Bin Hendi is Executive Vice President and Head of Products & Advisory at Emirates NBD Group, having previously served as the CEO of Emirates NBD Asset Management. He also serves on the Board of Directors of Aramex and ENBD REIT. In early 2017, he was instrumental in leading ENBD REIT's successful IPO on Nasdaq Dubai. Mr. Bin Hendi has over 18 years of experience, with a primary focus on asset management, private equity and investment banking. Before joining Emirates NBD, he was Deputy Head of Corporate Advisory at Commercial Bank of Dubai, with responsibility for the build-out of a new Corporate Advisory unit, having previously held a series of high-level roles at Mubadala (covering acquisitions, investment management and group strategy), Citigroup (in investment banking and alternative investments fund management), Dubai Holding, Delta Airlines and UPS. Mr. Bin Hendi holds a PhD in Labour Economics from Imperial College London (UK) as well as degrees from Columbia University (USA), London Business School (UK), and Clayton State (USA). 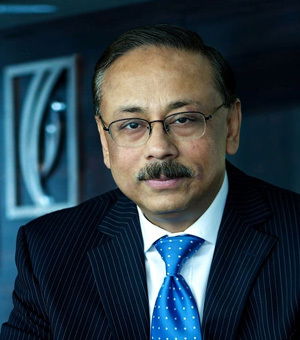 Mr. Ahmed Al Qassim is CEO of Emirates NBD Capital Ltd. (EMCAP), the investment banking arm of Emirates NBD Group. 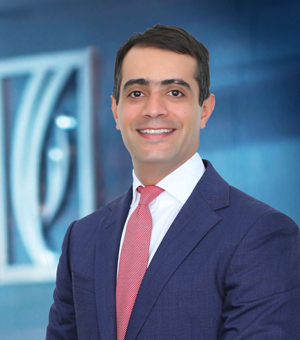 Ahmed is responsible for overseeing Emirates NBD's syndicated loans, structured finance, debt capital markets, equity capital markets and advisory businesses with a mandate to drive the growth of the Group's Investment Banking franchise. Ahmed has extensive experience in investment banking and structured finance, working for leading local and international investment companies. He was previously Chief Executive Officer of Dubai Group, a Dubai Holding entity, and member of the Boards of Bank Muscat, Shuaa Capital, EFG-Hermes and Sun Hung Kai. Prior to joining Dubai Group, he spent a year as Director, Investment Banking at EMCAP, where he led the Equity Capital Markets and M&A teams. Ahmed has previously held senior roles at General Electric and Mubadala - GE Capital. Ahmed holds a Master of Business Administration from the University of Victoria in Canada. Mr.Maurice Gravier is Chief Investment Officer, Wealth Management at Emirates NBD, responsible for providing Emirates NBD's private banking and retail clientele with comprehensive financial advisory and valuable guidance on investment strategies. Gravier started his investment career at Natixis Asset Management in 1999 as Portfolio Manager before being appointed Managing Director and CIO of the Active Equity franchise in 2007, overseeing US$ 25bn of client assets, gaining recognition from international consultants and institutions and strong ratings from Lipper, S&P and Citywire. Gravier's vast 20-year experience in wealth management also includes leading positions in global financial institutions including Lombard Odier Private Banking in Switzerland, where he was head of equity portfolio management and strategy. Gravier was most recently Executive Director for investments at UAE-based family investment office, Majid Al Futtaim Trust. Gravier is a French national with a Masters in Management from ESCP Europe in Paris. Dr. Hamid is currently chairman of the Shari'a boards of over 18 Islamic financial institutions, including Emirates NBD Asset Management, Dubai Islamic Bank PJSC, Islamic Development Bank, Al-Salam Bank (Bahrain), Al-Salam Bank (Algeria), Al-Salam Bank (Sudan), Deutsche Bank (Malaysia), Safwa Bank (Jordan), Tamweel, Liquidity Management Centre, and AAOIFI. He has authored more than twenty books on Islamic law, Islamic finance, Islamic economics, social studies and art. Dr. Hamid obtained a PhD from the Faculty of Shari'a of Al Azhar University, Cairo, and further Law and Economics degrees from the University of New York and the University of Cairo. Dr. Al Nashmi is a professor of Shari'a and Islamic Studies at Kuwait University. He is a member and representative of Kuwait at the International Islamic Jurisprudence Assembly. Dr. Al Nashmi serves on the Shari'a boards of a number of Islamic financial institutions including Kuwait Finance House, Emirates Islamic Bank PJSC, Dubai Islamic Bank PJSC, Sharjah Islamic Bank, AAOIFI and the Liquidity Management Centre. He holds a PhD on the "Principles of Islamic Jurisprudence" from Al Azhar University, Cairo. Dr. Alqaradaghi is currently the Secretary-General of the International Union for Muslim Scholars, Vice-President of the European Council for Fatwa and Research, Chairman of the Supreme Consultative Council for Bringing Islamic Madhahib Closer Together of the ISESCO, and Chairman of the Board of Trustees at the University of Human Development in Iraqi Kurdistan. He serves as Shari'a board head or member for several Islamic banks and Islamic financial institutions regionally and internationally. 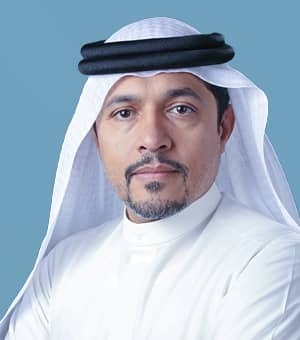 Dr. Alqaradaghi has authored more than thirty books and is a member of more than twenty scientific institutions, with expertise in advocacy, awareness, charity, sitting on a range of councils and boards for international jurisprudence. He holds a PhD in Shari'a and Law from Al Azhar University, Cairo, having specialized in the field of contracts and financial transactions. Mr. Salman Bajwa joined Emirates NBD Asset Management in 2008 and is currently the head of the business in his role as Senior Executive Officer. 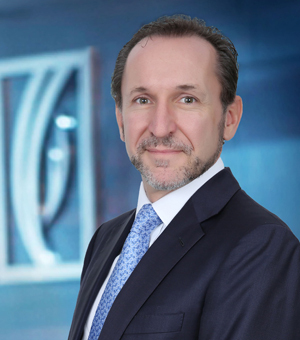 Prior to this promotion, he established the institutional sales team at Emirates NBD Asset Management in 2013 and in the succeeding four years this team was the engine of growth for the business, leading to a three-fold increase in assets under management. As the head of the sales & distribution function Salman was instrumental in advancing the reach of the business, helping it to become the leading fund manager of choice for wholesale and institutional clients within the GCC region and beyond. 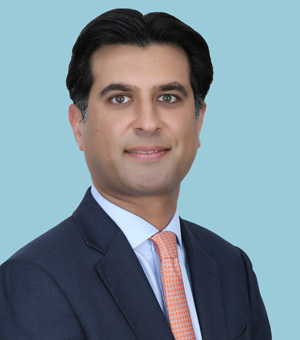 Salman brings to his role a wealth of relevant experience gained working for UBS in their New York and London offices, between 2002 and 2008, as part of the Investment Bank. He also worked for five years in the financial services division of the audit practice of PricewaterhouseCoopers in London and the Channel Islands, clearing all stages of the chartered accountancy ("ACA") exams. Salman holds a degree in Economics from the University of Warwick, UK. Steve comes with over 23 years' experience in the investment distribution business in the UK, Middle East and Far East. He has been resident in Dubai since 2001 and takes responsibility for the institutional sales team at Emirates NBD Asset Management as well as wholesale channel distributors such as insurance companies, private banks and wealth advisers. Prior to joining Emirates NBD Asset Management, Steve worked with many regional institutions as Sales Director for Amiri Capital, a Shari'a compliant investment manager before being appointed General Manager (Middle East Ops) for Anglo Irish Bank (IOM) PLC. He was also instrumental in the early establishment of the bancassurance industry in UAE, during his time with Scottish Provident International Life Assurance. Steve is a Member of the Life Insurance Association and the Chartered Institute of Securities and Investments. Philip has over 30 years’ experience in the international finance industry, including the last 15 years in compliance. 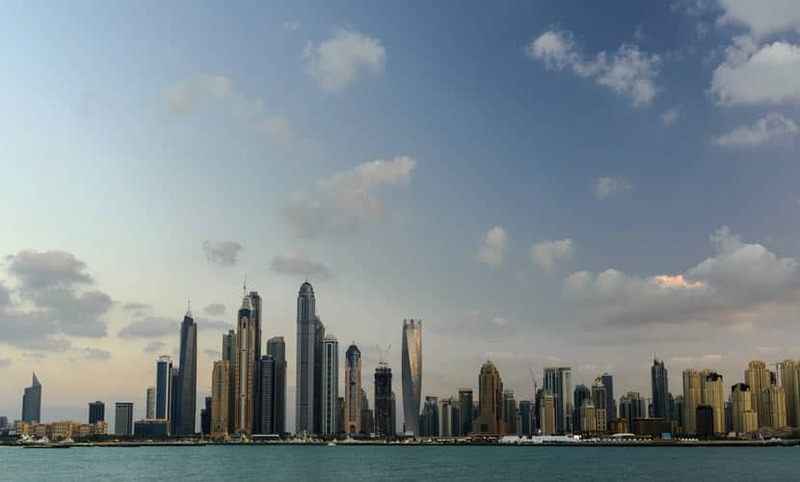 He has been resident in Dubai since 2015 and was in Singapore for 4 years before that and is responsible for the compliance and regulatory obligations of the company, across the various jurisdictions in which it operates. Philip is the authorised Compliance and Money Laundering Reporting Officer within the DIFC. 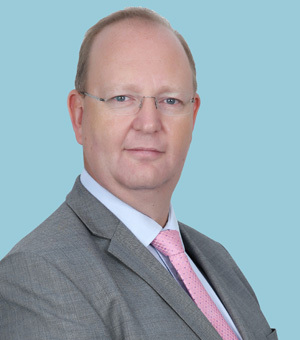 Prior to joining Emirates NBD Asset Management, Philip has worked with various international institutions including risk and compliance roles with Barclays, Asiaciti, Standard Bank and Dexia Private Bank, he first entered the compliance field as a supervision manager with the Jersey Financial Services Commission, where he was responsible for the supervision of a portfolio of regulated institutions ranging from fund companies to international banks. Philip holds the ICA Graduate Diploma in Compliance, STEP Diploma in Trust & Estates and the CISI Compliance Diploma. Lovesh heads the business support and strategy function of Emirates NBD Asset Management and has over 13 years of experience in asset and investment management, banking, finance and operations. He holds the status of an "Authorised Individual" within DIFC. 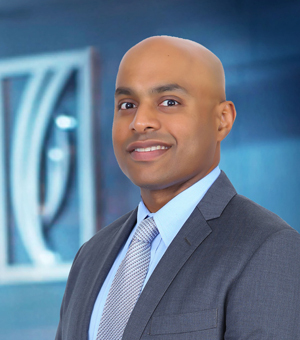 Prior to joining Emirates NBD Asset Management he was with Emirates Financial Services, where he gained experience within finance and operations in the fields of asset management, investment banking and fund accounting. Lovesh holds a Master's degree in Business Administration, specializing in Finance and Marketing, and a Chartered member of the Chartered Institute for Securities & Investment, UK (CISI). He is also a Certified Anti-Money Laundering Specialist with the Association of Anti-Money Laundering Specialists. Ajit heads the operations team at Emirates NBD Asset Management and is responsible for its effective, efficient and compliant functioning. He has over 19 years' experience, of which 13 years have been in the field of treasury, investment and asset management operations. Ajit is also responsible for supporting the establishment of operational infrastructure for existing or new products and services, partnering with teams including sales, fund management and compliance. Prior to joining Emirates NBD Asset Management, Ajit was at Mashreq Bank, where he gained experience in the field of remittances, treasury, investment banking and asset management. Ajit holds a Master's degree in Commerce and Business Administration and is a member of the Chartered Institute for Securities & Investment, UK (CISI). He is also a Certified Anti-Money Laundering Specialist with the Association of Anti-Money Laundering Specialists. Scott has over 20 years' experience in the asset management industry, the last 10 of which he has spent at Emirates NBD Asset Management, working in risk and portfolio analytics. He is responsible for oversight of the risk management of the portfolios, as well as portfolio performance and attribution. Prior to joining Emirates NBD Asset Management, Scott worked for 2 years in the risk and performance team at the Teacher Retirement System of Texas, a USD 150 billion pension fund. Previously, he worked for 10 years at Franklin Templeton Investments, where he was responsible for cash management of the Franklin Templeton portfolios. Scott holds an MBA in Finance from the University of Miami and a B.S. in Finance from Florida Atlantic University. Angad is Head of Fixed Income at Emirates NBD Asset Management, having previously been Senior Portfolio Manager since October 2014. He has been with the business for more than seven years, having joined in 2010 as a Senior Credit Analyst. 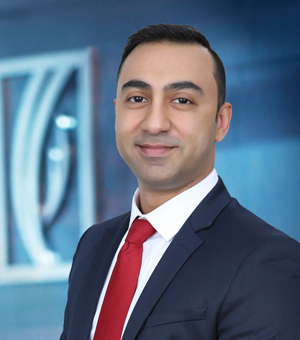 Angad is the lead manager for the UCITS-compliant MENA Fixed Income Fund and the Global Sukuk Fund, which have outperformed their respective benchmarks for most years since 2010. He has also had an active part in doubling Fixed Income Assets Under Management (AUM) since 2013 - to almost USD 2 billion for year-end 2017. 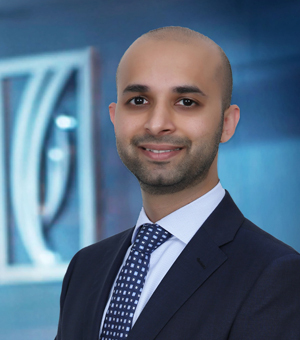 Prior to joining the team, Angad was Senior Equity Analyst at Prime Emirates from 2008 to 2010, having previously been an Associate in Financial Services Advisory at Ernst & Young in New York and a Financial Analyst at Real Value Investments in Mumbai. He holds an MBA from the Martin J. Whitman School of Management at Syracuse University in New York and a Bachelor of Commerce degree in Accounting and Auditing from the University of Mumbai. Angad has CFA designation and is a member of the CFA Institute and the CFA Emirates Society. 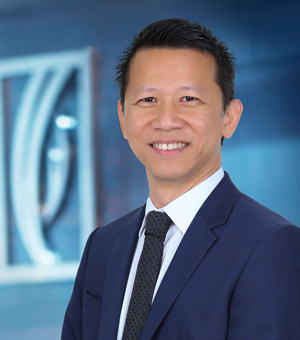 Yong Wei is Head of MENA Equities at Emirates NBD Asset Management, with responsibility for the management of the MENA equity funds and portfolios, together with overseeing the research activities of the investment team. He places strong emphasis on value investing, using a bottom-up fundamental approach, together with a top-down overlay, where he has developed extensive experience over the last 18 years. The funds under his management cover both the conventional and Shari'a compliant space, and the flagship fund has been awarded a 4-star rating by Morningstar. 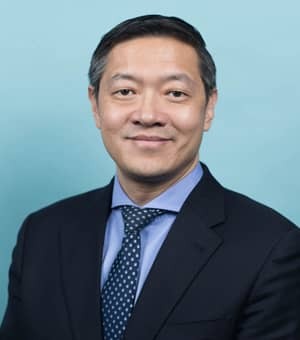 Prior to joining Emirates NBD Asset Management in 2007, Yong Wei was a Senior Manager with Lion Capital Asset Management, one of the largest private asset management companies in South-East Asia, based in Singapore, covering Asian construction, airlines and healthcare companies. He has also worked as an analyst/co-portfolio manager with Straits Lion Asset Management, with responsibilities covering Hong Kong and Europe, and Asian banks and transportation sectors. Yong Wei is a Singaporean national and holds a Bachelor's of Engineering (Honours) in Mechanical and Production Engineering, from Nanyang Technological University. He has been a CFA charter holder since 2003. He has been a regular contributor to the Business Breakfast programme on Dubai Eye radio, covering the regional stock markets, and has been quoted on Bloomberg and in mainstream UAE media. 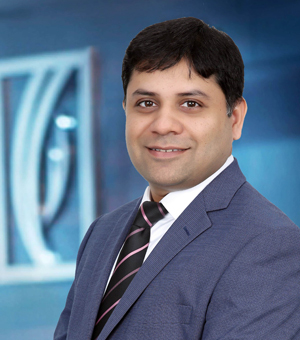 Parth Kikani joined the Emirates NBD Asset Management Fixed Income team in 2013. In his role as Director of Fixed Income and Senior Portfolio Manager, he is responsible for managing over USD 150 million in public funds, as well as a range of discretionary portfolios on behalf of institutional clients investing in regional and broader emerging markets fixed income. 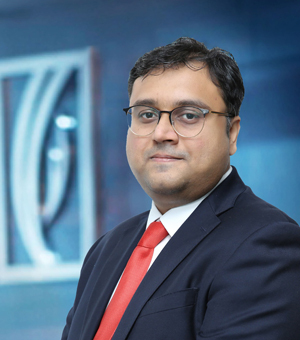 Parth also manages the Emirates Emerging Market Corporate Absolute Return Bond Fund (EMCAR), a Morningstar rated fund, which has consistently delivered top quartile performance when compared to international peers. Active in the regional Asset Management industry for over a decade, Parth has developed a strong experience analysing and covering Emerging Markets bonds and securities. 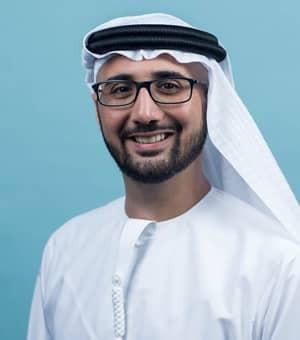 Prior to joining Emirates NBD Asset Management, he was part of the team managing Dubai Group's Global Emerging Markets Portfolio and held assistant portfolio manager and analyst roles for Al Mal Capital and Emirates Financial Services. Parth is a CFA charter holder, chartered accountant and has completed his MBA from SP Jain Centre of Management, majoring in Investment Banking. Chandru is Senior Portfolio Manager on the Emirates NBD Asset Management Fixed Income team, with responsibility for the Emirates MENA Fixed Income Fund, Emirates Global Sukuk Fund and a number of segregated mandates. Chandru previously spent 11 years at Rasmala Investment Bank (Dubai) as lead manager for the Rasmala GCC Fixed Income Fund, as well as a number of conventional bond and sukuk discretionary mandates. Before joining Rasmala, he spent 3 years as an analyst at Credit Suisse in New York. Chandru holds a Bachelor's degree in Business Administration from Central Michigan University and a Master in Finance from Heriot Watt University. He has successfully completed the Moody's Analytics Certification in Commercial Credit (CICC) qualification, which is focused on credit assessment and risk management. Richard is the lead manager for both the MENA Opportunities Fund and Emirates NBD Saudi Arabia Equity Fund. In addition to managing both funds, he also runs discretionary mandates for several regional institutions and supports High Net Worth Individuals achieve their investment targets. A member of the team since 2007, Richard played a key role in establishing and growing the in-house research team capacity and capabilities. Prior to joining Emirates NBD Asset Management, Richard was head of research at AmanahRaya Investment Management, an asset manager owned by a Malaysian sovereign wealth fund. He also held various research roles over a six-year period at CIMB Group, one of the largest Asian investment banks and one of the world's largest Islamic banks. A CFA charter holder since 2000, Richard actively volunteers on various initiatives at the CFA Institute and the Emirates CFA Society. Marwan is Senior Portfolio Manager on the Emirates NBD Asset Management Equities team, where he is lead portfolio manager on the Emirates MENA Top Companies Fund and associate manager on the Emirates MENA Opportunities Fund and ENBD Saudi Arabia Equity Fund. He follows a high conviction, adaptive and deep research investment approach, which is value oriented with a strong preference for companies that exhibit competitive, innovative and efficient traits. He builds portfolios on long-term commitments, with investments made after rigorous, qualitative and fundamental analysis. Marwan was previously at Al Mal Capital in Dubai, where he invested in MENA markets. At Al Mal he was responsible for leading the investment process on MENA equities, generating new investment ideas, conducting fundamental research and actively managing portfolios. Prior to joining Al Mal, Marwan was at Rasmala Investment Bank, where he had a key role in developing the MENA Equities offering from a fund of funds model to a stock selection model, launching the Arabian Market Growth Fund in 2011 and GCC Islamic Equity Fund in 2013. 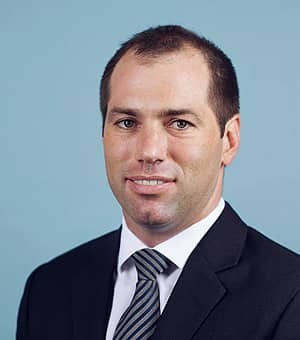 He began his career at Awraq Investment, followed by Global Investment House, after completing a Master of Business in Finance from Sydney University (Australia). He is a CFA charter-holder since 2010. We are able to offer the best global product solution to our clients by maximizing our in-house resources, as well as teaming up with best of breed international managers such as Jupiter Asset Management and UTI International. 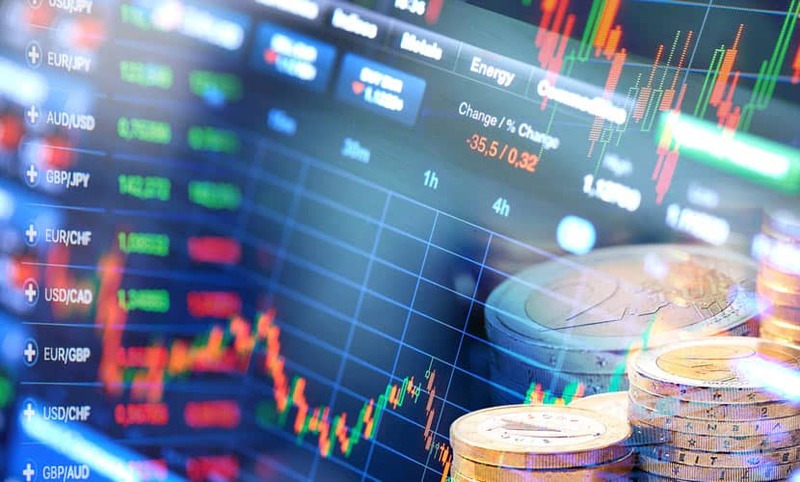 Jupiter Asset Management are the delegate investment manager for the global multi-asset fund range as well as the Islamic Emirates Emerging Market Equity Fund. UTI International is the delegate investment manager for the Emirates India Equity Fund launched in November 2017.